Product prices and availability are accurate as of 2019-04-23 13:00:39 UTC and are subject to change. Any price and availability information displayed on http://www.amazon.com/ at the time of purchase will apply to the purchase of this product. We are reluctantly offering the sought after To Sail Through Time for a great price. Don't pass it by - buy the To Sail Through Time online now! Dr. Bethany Henry looses control of her independent life when a curious storm and waterspout sends her yacht sailing through time. Bethany, and her twin, Bryce, find themselves in what they believe to be a mock battle, which turns out to be real. Men do not die in fake battles. Captives on a privateer's ship, they are not in 1999 anymore, but in 1814, and in the last days of the War of 1812. Captain Joshua Blackmon has scores to settle with the English and Spanish. He sails in league with Jean Lafitte of Barataria. Vengeance is his driving force until an American beauty on a strange boat shows up. He wonders who is the captive? Does he control Bethany or does she control his heart? Nay! He will never give up his fight to rid the sea of those who would harm his countrymen, even for the love of a woman. Bethany must learn to love the pirate, before she can learn of the Virginia gentleman behind Joshua Blackmon. 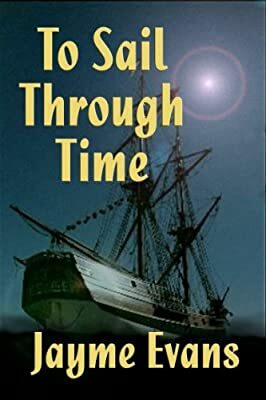 TO SAIL THROUGH TIME was a fun read, full of adventure, bits of history and romance all in one. I thought the author did a good job portraying the conflicts between a man from the 1800’s and an independent woman from the 1990’s. While this romance had the predictable fairy-tale ending, the plot had sufficient twists and turns to make the ride worthwhile. I got quite a laugh at some of the situations Bethany got herself into, and I thoroughly enjoyed the discussions she and Joshua had over human rights and fair treatment of prisoners. A good book to pick up for a fantasy trip of your own.